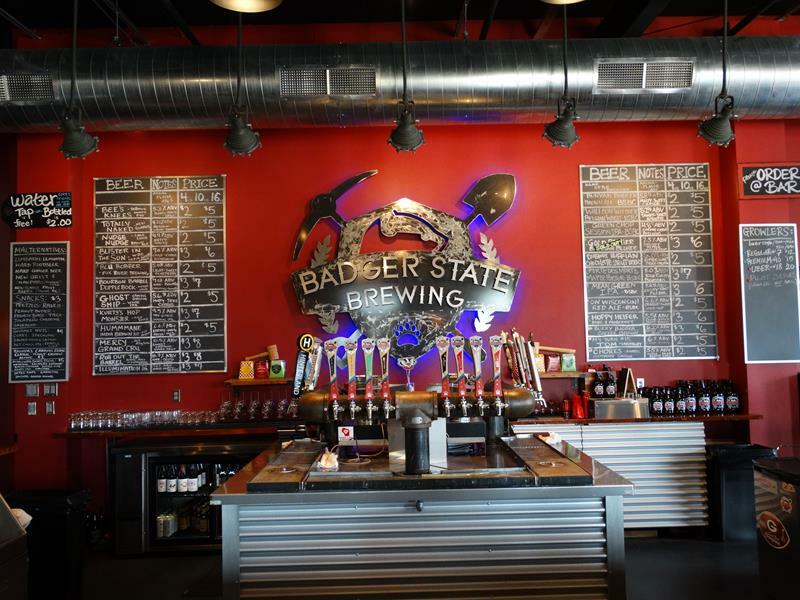 Badger State Brewing Company is in the heart of Green Bay – and by that, we mean mere blocks from Lambeau Field in the “Titletown District,” which also includes the Resch Center and Brown County Arena. 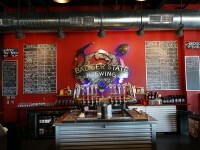 Opened in 2013, Badger State operated a 15-barrel brewing system inside a 10,000 square foot building that was the last property left along Lombardi Avenue to be zoned manufacturing, allowing them to brew beer there. 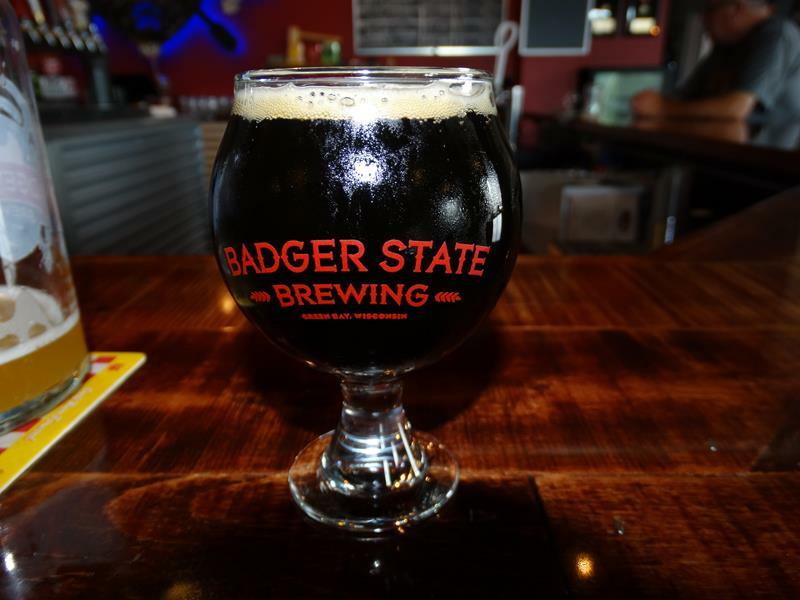 They sell it, too: their tap room inside the facility opened in late 2014 and features two dozen Wisconsin-brewed beers, including their own flagship brands Bunyan Badger Brown Ale, Green Chop Session IPA, Porte des Morts Maple Porter, Green Chop Session IPA, Vive La Belge! Belgo-Pale Ale, Walloon Witbier, and the almost intimidating-sounding Dubious Ruffian Chocolate Stout. 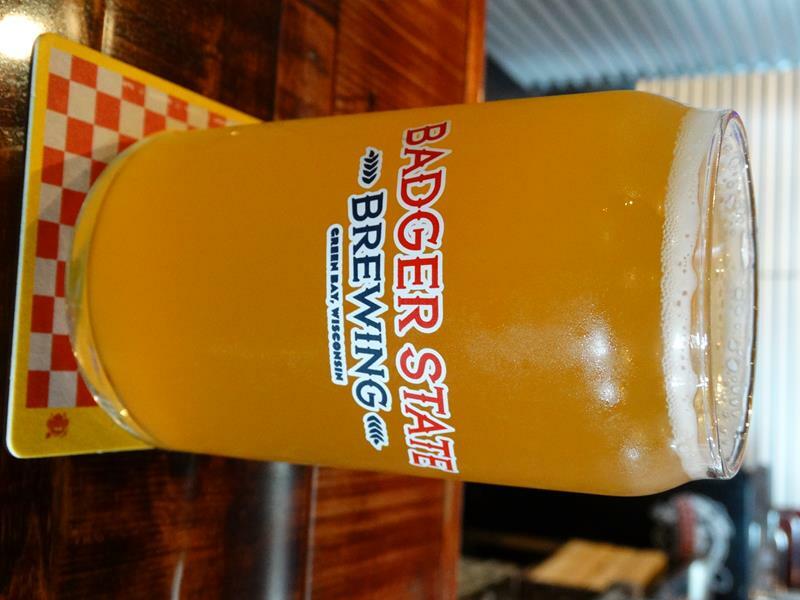 More recently, brews like their Resilience IPA and others have come aboard, and you can increasingly find their beers in bars and restaurants across the state. 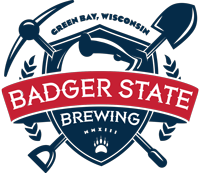 You’ll find them southeast of – or behind – the Stadium View and Brett Favre’s Steakhouse on Tony Canadeo Run, where a lot of hotels are now going up, too. Lombardi Avenue, Oneida Street, and Ashland Avenue (Highway 32) surround this part of the Titletown District. Check out all our Badger State Brewing pictures here!